New Delhi: Transform, Energise, Clean India- These were the three major agendas put forward by the Finance Minister, Shri Arun Jaitley today while presenting the 2017 Budget. With more detailed analysis soon to follow, here are the announcements made by the FM that concern the healthcare sector. 1.5 lakh health sub centres will be transformed into health wellness centres. It is a known fact that the Indian healthcare chronically suffers from the shortage of manpower. Moreover, the said shortage becomes glaringly visible when it comes to specialist and super-specialist professionals. The minister announced that the central government would work with the state government to take this task forward. 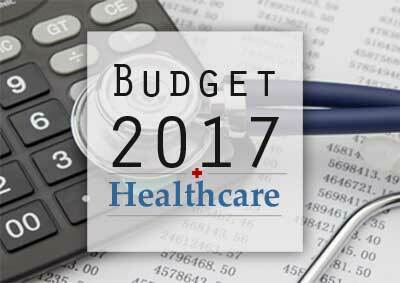 The Budget 2017 was seen highlighting the government’s commitment to bring into place reforms in the medical education sector as was earlier highlighted by the Niti Ayog appointed committee. Needless to say, this alludes to the impending National Medical Commission Bill which is soon to be introduced in the parliament. Two new AIIMS have been proposed in this years budget. These are going to come up in the states of Jharkhand and Gujrat. It has been proposed to amend the Drug and Cosmetic rules to ensure the availability of drugs at reasonable prices to ensure the use of generic medicines. New rules regarding medical devices will be formulated. These rules would be international harmonized and attract investment to this sector. This will reduce the cost of such devices. Neither BJP nor Congress is interested to address the issues of Health care in India as they are talking more on health but acting very less. BJP Government in Gujarat is interested in Utsavs related to health but not interested to fill up more than 35 % of sanctioned posts of medical officers. Worse is the situation of specialists and health executives cadres. The show is being run by additional charges, contractual appointees and stop-gap arrangements.